In an order issued on February 9, 2018, the Supreme Court has stayed the Central Tribunal, Appellate Tribunal and other Authorities (Qualifications, Experience and other Conditions of Service of Members) Rules, 2017 (i.e., the Tribunal Rules) which gives the central government complete control over appointment of tribunal members, including the National Green Tribunal (NGT). Henceforth, the terms and conditions for appointment and termination of NGT members will be governed by the National Green Tribunal Act 2010. A bench led by Chief Justice Dipak Misra issued the order in response to a petition filed by Congress MP Jairam Ramesh. The petition would be revisited in twelve weeks from the date of the judgment. Earlier in 2017, the Centre had introduced new rules for appointment and termination of tribunal members, including the NGT, overriding the existing provisions of the National Green Tribunal Act 2010. The latest interim stay order follows a previous order (December 15, 2017) when the Supreme Court had directed the Centre to amend rules pertaining to the appointment and conditions of service of as many as 19 Tribunal members, including the NGT. The Centre was asked to submit a copy of modified draft rules to the apex court before the next hearing on January 4, 2018. It was also required to consult senior lawyers Arvind Datar and Mohan Parasaran in framing new rules. 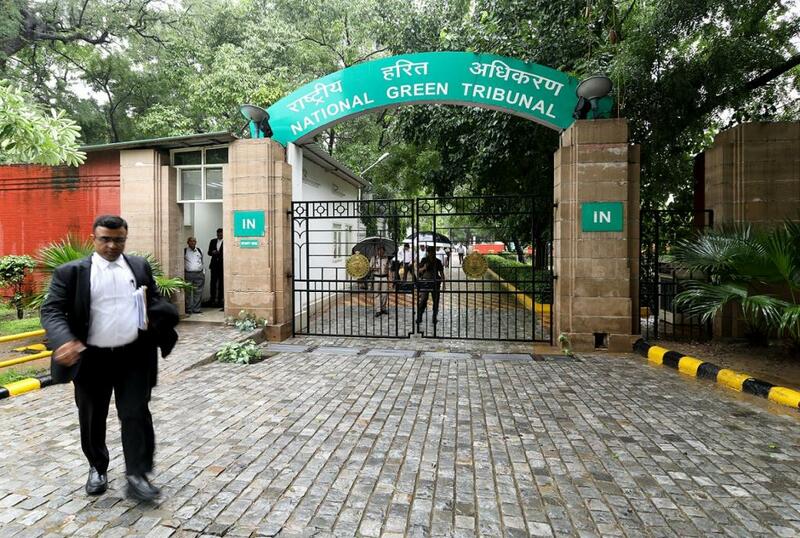 The apex court was at that time responding to a challenge from various individuals, including advocates, and organisations that argued before the court that the Tribunal Rules would weaken the independence of NGT and also curtail its powers. Subsequent legal developments verified these apprehensions, when rules were introduced on December 1, 2017, granting the Chairperson of NGT the right to empanel single-judge bench in exceptional circumstances. The phrase ‘exceptional circumstances’ was not defined, only increasing the likelihood of subjectivity. Nor does the amendment specify who would decide when such circumstances arise.